Acclaimed designer Anna Griffin is known for her elegant style, inspired by antique textiles and vintage botanicals. 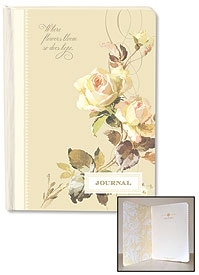 This journal make a stunning statement with their exquisite florals and inspired nature quotes. This collection of gifts is one to treasure for those very special occasions.